Hello there! My name’s Dave Monk, I’m one of the resident casino reviewers here and I love me some online slots action! Now I don’t know about you, but I’m almost certain that Her Majesty has never been spotted in a Strip casino. Possibly at a bookies at a race course, but never hitting the slots at the Luxor or the Bellagio. So I was intrigued to see what theme QueenVegas.com might go for. I know I always say I’m a fan of clean layouts and site design, but QueenVegas.com almost goes the other way! The layout is definitely uncluttered, but why oh why did they choose a colour scheme that can only be described as… beige?! They’ve been around since 2011, so plenty of time for redecorating by now, I’d have thought. Still, it does have the benefit of not distracting me while I take a look at their slots offering. Although there was no easy way of me counting them all up, I’m told there are over 1,300 games available here. One thing I can tell is that are not limited to one software provider. 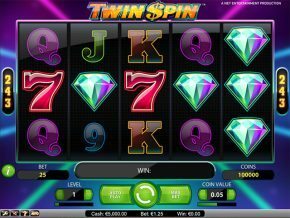 You can find slots here from the likes of Microgaming, Netent, NextGen Gaming, Merkur, Barcrest, and plenty more. While they don’t carry the whole offerings from these providers they do seem to have chosen most of the popular and well-respected games, so you’ll find titles like Emoji Planet, Warlords, Dracula, Psycho and plenty of other favourites. 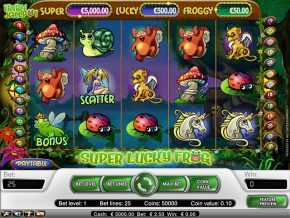 What’s also nice is there are are quite a number of progressive jackpot games available, including some of the big boys like Mega Fortune and Mega Moolah. There are also some local jackpot games here as well, and at the time of writing there were some pretty good jackpot totals building up here. If I’m sounding a bit unenthusiastic it’s probably because the games are all absolutely fine, but there’s nothing standout here. There’s also no good search filters, so finding a favourite or discovering new games can take time. And everything’s so beige! To be fair though, I can’t knock the choice on offer, so it’s definitely worth looking at. When it comes to classic casino table games I think things are very good here. 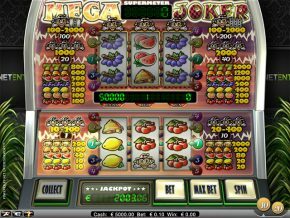 QueenVegas.com has a good selection of roulette, video poker, and card games including punto banco and blackjack. There’s also a modest, but welcome, dedicated video poker section. Now here’s where things get a lot more colourful! QueenVegas has invested heavily on its live casino offering, and here’s where you’ll find over 65 different live tables to play on from market leaders Evolution and NetEnt Live. There is definitely plenty of choice here, and by aligning themselves with the top dogs in the live casino market QueenVegas.com is a definite “must visit” site for live play fans. There are games for high rollers, “average Joes” and beginners alike, and they all play and stream beautifully. It’s nice to see some tables other than the usual Blackjack and Roulette variants. Casino Hold ‘Em is a great addition, as is the choice to provide several live baccarat tables – a rarity these days! There’s even a very beginner-friendly “game show” themed spin-the-wheel game called “Dream Catcher” which is great fun – and not just for the newcomers! I will completely forgive QueenVegas their bland decor because they’ve obviously invested the money they would have used to make the site more colourful into a top notch live casino experience. I will certainly bow down to you for that! You really can’t have an online casino that isn’t mobile-friendly and survive in today’s market, so no prizes for guessing that QueenVegas.com offers a fully responsive mobile version of its site. Just navigate to it via your phone or tablet browser and you’ll be automatically directed to the mobile optimised version. It’s actually done really nicely (although it’s still beige!) and makes gaming on smaller screens easy. One thing I don’t like is that you’re restricted to the number of games you can play in browser on mobile compared to laptop. However, that restriction is only going down from 1,300 games to 800 – so still plenty to keep you occupied on the move here. Overall, you’re doing well on this front, Ma’am. Right, I have to say that I was expecting a fairly “boring” introductory offer to match the boring colour scheme. But I’m really pleased to say that this is where a splash of colour enters the QueenVegas world! You know I’m a stickler for good support, so let’s see how things stack up here. The first thing to say is that the “beige”, uncluttered layout does lend itself nicely to a clean FAQ. All the major questions are answered here, and it’s a simple layout that works well. You can get hold of all the information you need, quickly and easily. When it comes down to human interaction, things start out well. Customer support here runs 24/7. That’s great, but then you realise there’s no live chat or phone option. Everything is done via email. Now in my tests, the emails were always responded to within a couple of hours, but these days that’s really lagging behind most of the competition. I wonder if they ought to trade in a few hours of closing support for adding in a live chat help option. Having said that, the emails I got from customer support were in excellent English and they were able to answer all my questions without a problem. When it comes to money, things are more in line with the standards we’ve now come to expect for online casinos. QueenVegas accepts all major credit cards, many different e-wallets, and (depending on where you’re gambling from) vouchers or phone payments. A nice touch for you “Brits Abroad” is you can choose what currency your player account is in, meaning you can flutter in Euros instead of pounds if you prefer. Minimum deposit amount is £20, with no maximum (I should think so too!). 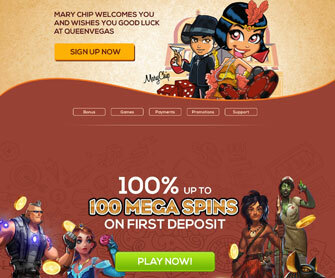 For almost all payment methods there are no charges applied on deposits by QueenVegas.com. When it comes to getting at your winnings there is also a withdrawal minimum of £20. Now that’s unusual these days, but on the flip side there are no withdrawal fees imposed, so it balances out.